Saori is often considered the zen meditation of the weaving world. While weaving can be considered meditative by many, Saori weaving focuses on the moment and going with that intuition or inner self. It is expressive, immediate, spontaneous and energetic. Ori translates to weaving in Japanese while sa means self. Thus, Saori means to weave oneself, tapping into one’s inner spirit. 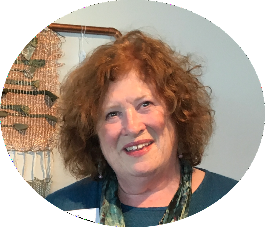 I have been Saori weaving for eight years as part of the SAORI Worcester community. I invite you to be part of a new community in Desert Hot Springs. 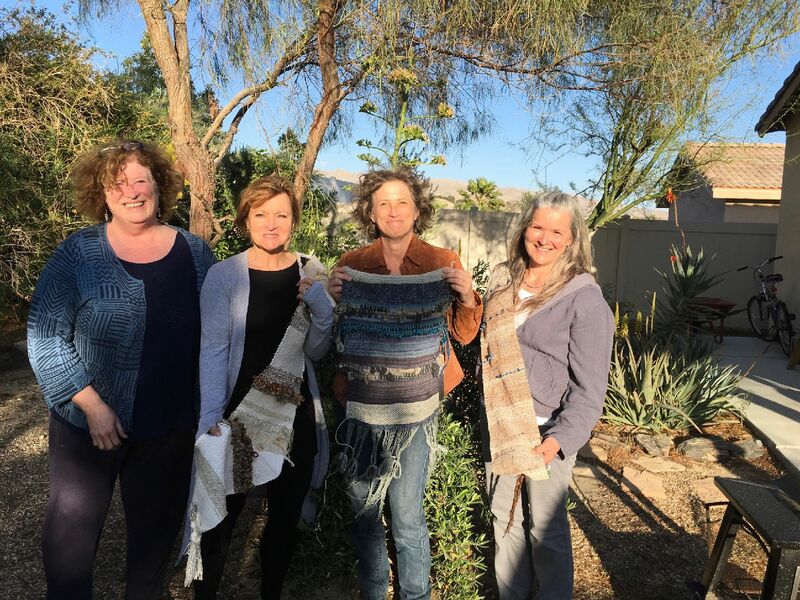 Weaving classes are held in my studio in Desert Hot Springs. Four different styles of Saori looms are available to use; all looms were designed by Kenzo Jo of Osaka, Japan. This three hour session offers a Saori loom with a pre-warped black warp for you to weave your memories. A large assortment of treasures (yarns, sari silk, wool roving) as well as cone yarn are available for you. Basic instruction on weaving. You will produce a wall hanging of approximately 2-3 feet depending on the complexity of your weaving. All materials are included. This class is suitable for people who are experimenting with Saori for the first time. You are free to explore Saori weaving without guided instruction for a day in the garden or inside the studio. You are provided a prewarped loom and access to the yarns in the studio for 6 hours. This class is suitable for people who have woven previously or who come from afar. Classes for continuing students are based on degree of experience. Suitable for students who have completed Saori courses or possess some weaving experience. Weaving My Memories qualifies as does the Saori Zen Day. The goal is to develop a Saori weaving community. Times and cost to be determined. We do not teach, we develop individual creativity.